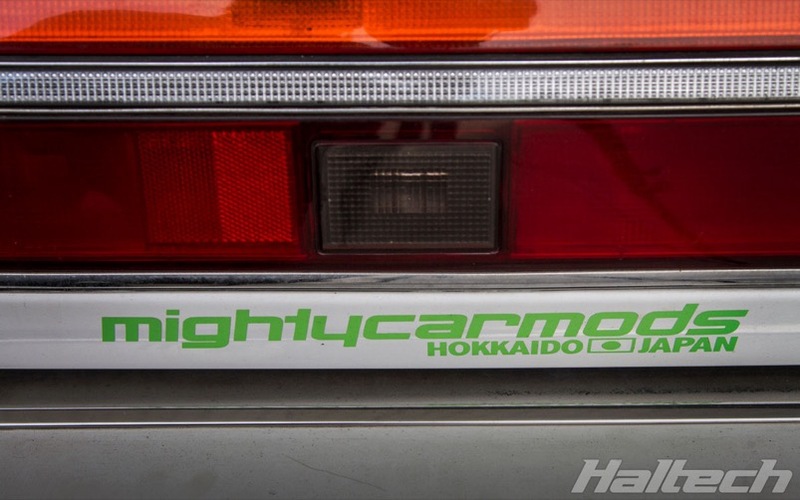 This mid 1980s Toyota Cresta has all the markings of a Mighty Car Mods project: it’s unique, it’s full of clever mods and, of course, it’s maaaad! For those not familiar with the build we highly recommend watching the 10 Second Sleeper build video on the Mighty Car Mods YouTube Channel. 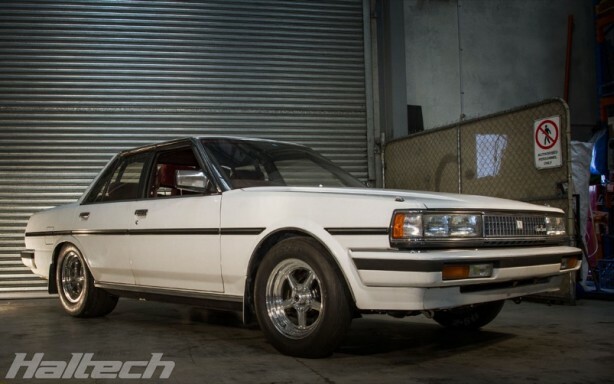 Marty and Moog purchased the car in Japan and shipped it over to Australia with the intent of turning it into a 10-second sleeper. 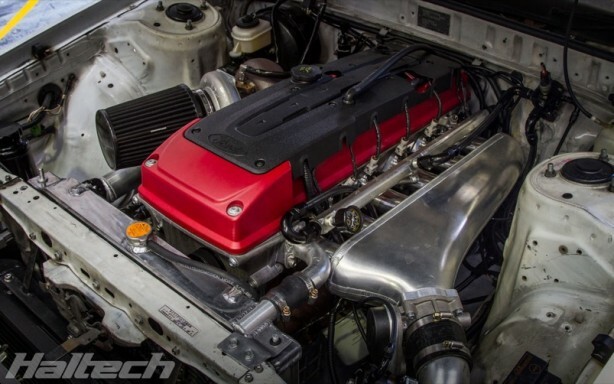 Right from the start, the guys knew they could not achieve their goal ET with the dated, factory power plant. It was quickly replaced with an Australian-made Ford inline six Barra engine. 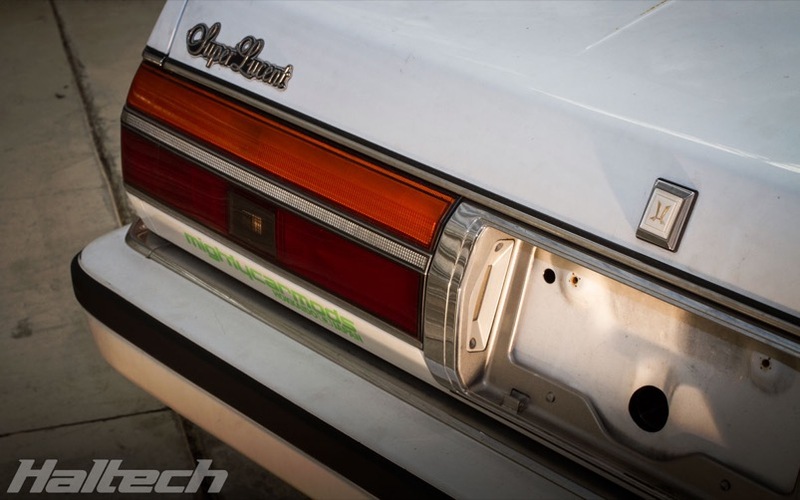 Strong, tough and reliable, the Barra proved to be a smart choice. With a reputation for creating serious horsepower on stock internals and parts readily (and cheaply) available, squeezing 600hp out of this mildly modified 4L six was not difficult. 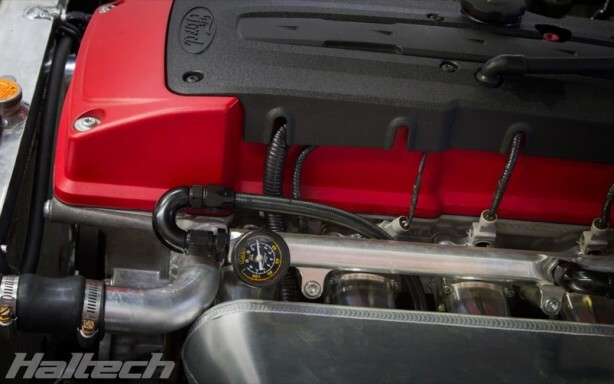 A factory Ford FG throttle body feeds the compressed air into a custom billet inlet manifold and runners. 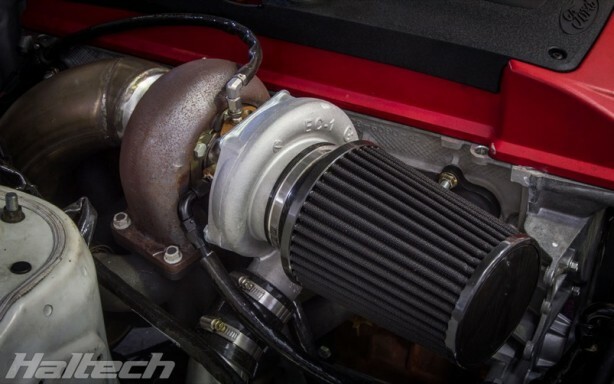 Boost comes via an externally gated Garrett GTW3884. Injectors have been upgraded to DW 1500cc units. 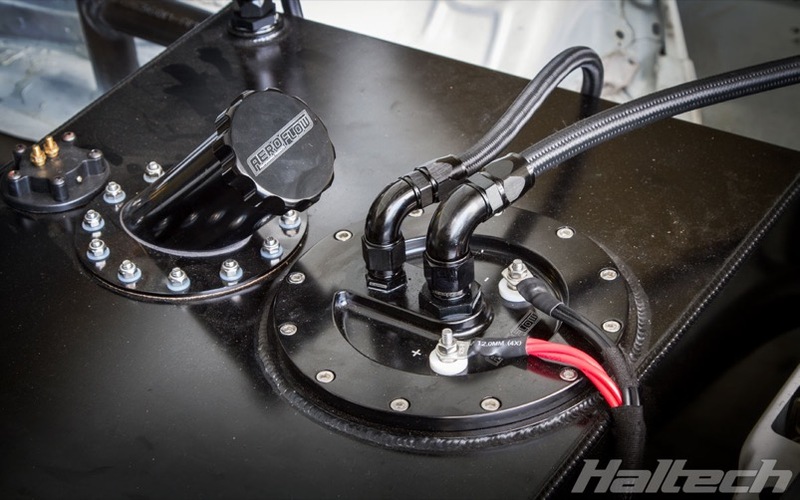 The factory engine harness was retained with just the ECU ends cut and repinned to connect with the Elite ECU. 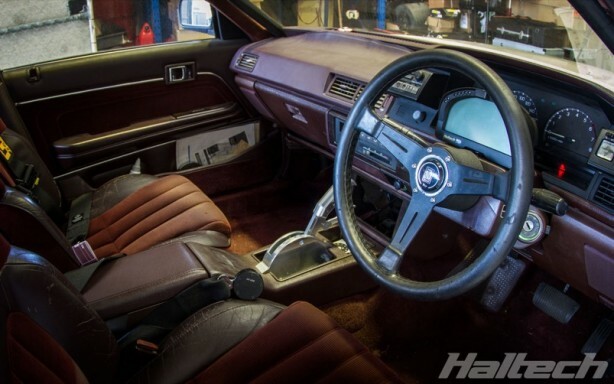 Nothing says “1980s prestige” like a maroon velour interior. 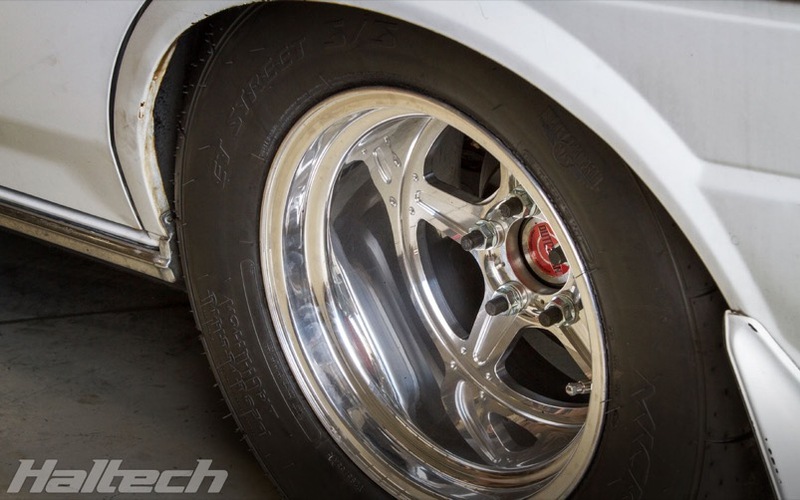 Given the car’s aim to run 10 second quarters a full roll cage was required to protect its occupants. 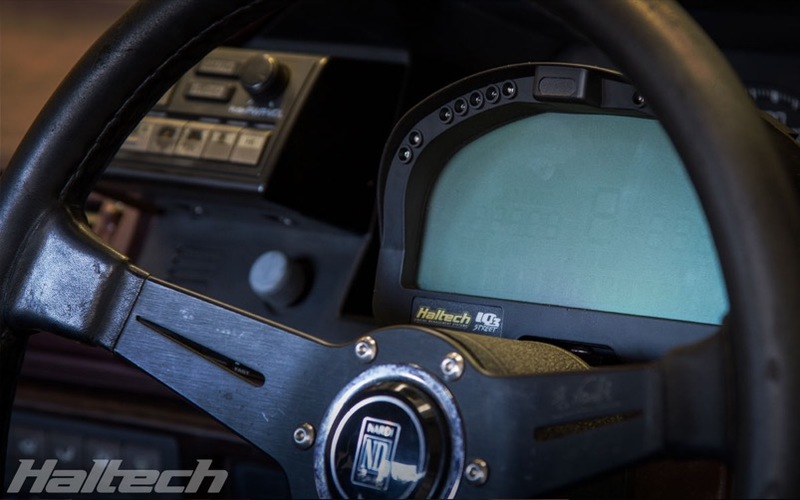 Haltech’s IQ3 Street dash displays all the vital engine information. The power is transferred from the engine to the rear diff via a modified Hughes Turbo 400 transmission. 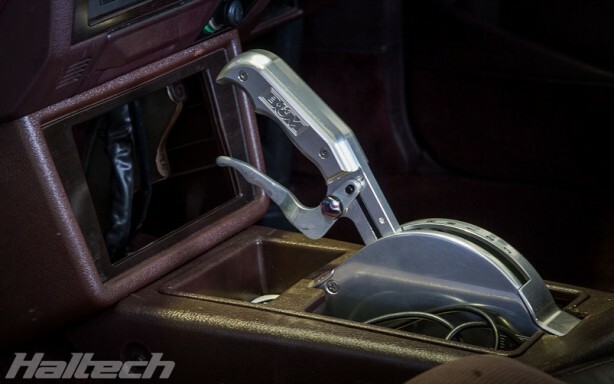 A classy billet shifter replaced an ageing, plastic factory item. Hidden under the dash panel is Haltech’s Elite 2500T ECU. Aside from controlling the injection, ignition and boost, the Elite 2500T also employs Advanced Torque Management to help the car get down the track faster and more reliably. Advanced Torque Management (ATM) works by reading a driveshaft RPM sensor signal and comparing it against a pre-programmed driveshaft curve. 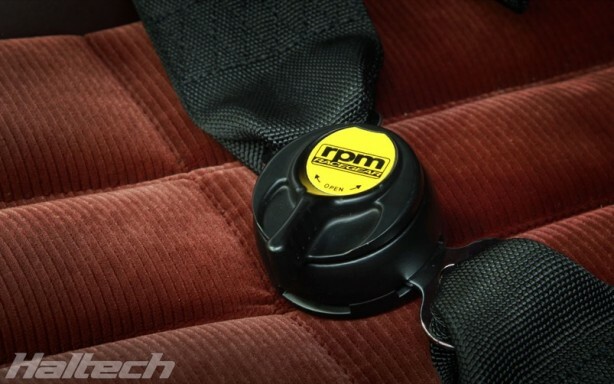 If the driveshaft RPM goes above or below the target driveshaft RPM, the ECU immediately adjusts the tune to compensate and bring the driveshaft RPM back to its preset target. 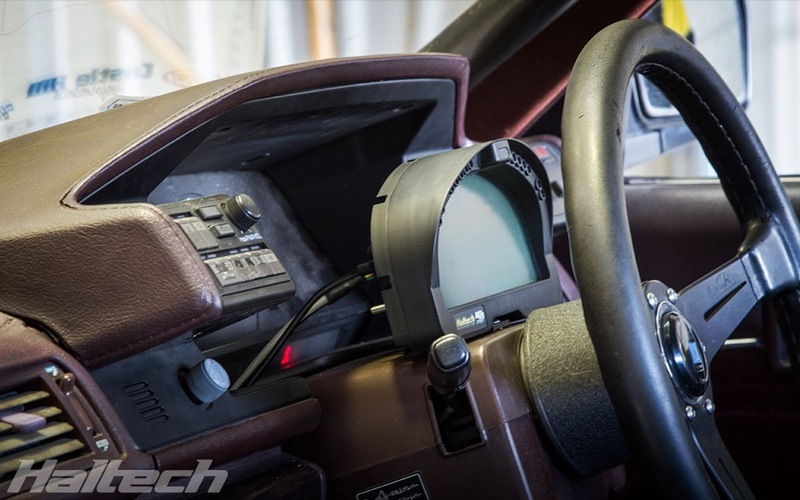 The Elite is connected to a dashboard-mounted rotary trim switch which allows the driver to choose from a host of pre-programmed driveshaft curves, boost curves or throttle angles. With this switch, the driver can select the correct power delivery curve for the track conditions. 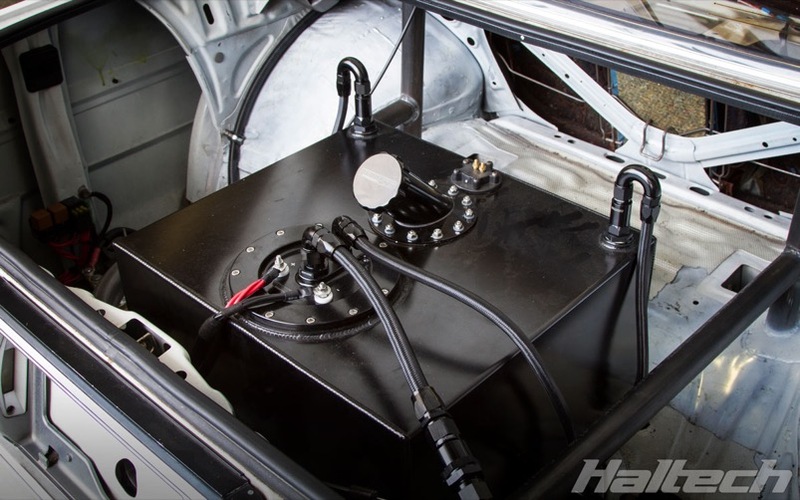 The boot houses a fuel cell and three DW 350L/h fuel pumps. 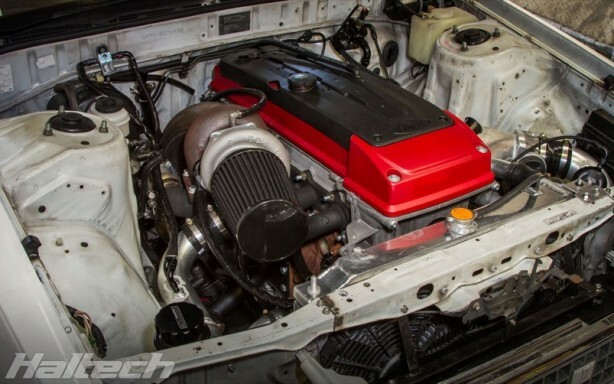 To date, the guys have managed to get a 9.97@138mph pass out of this package, which is both impressive and inspiring given they’ve used an engine readily available from wreckers for less than $1500! 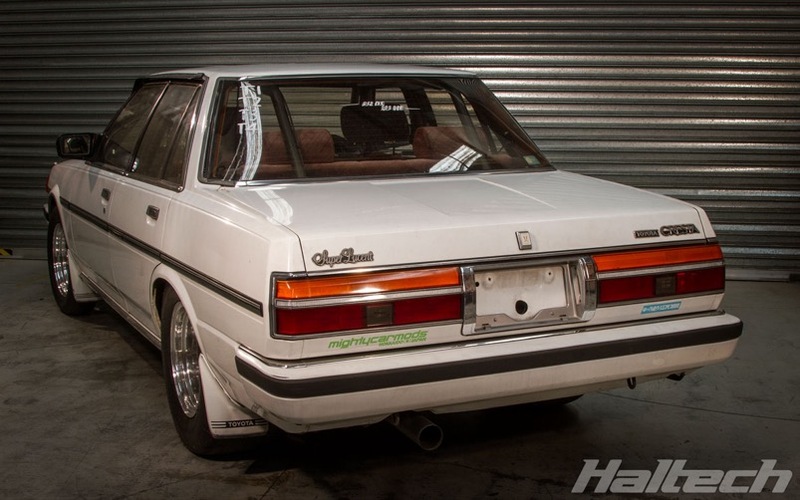 All other parts and labour notwithstanding this is still a great testimony for the venerable Aussie inline six.